Currently 656 visitors online at SuggestADoctor.com. Dr. Brasch listens and informs, helps and supports. He has great bedside manner and genuinely cares and has compassion. 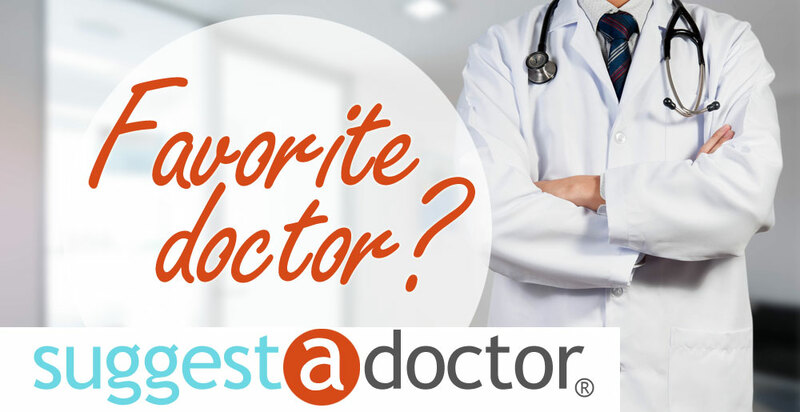 Most importantly, he is a skilled doctor through 4 pregnancies and great surgeon for my hysterectomy. It went as smooth as butter and Dr. Fine always assits so you're getting 2 great surgeons in a very good hospital. They are also up to date on the latest and greatest medical practices. Reading some recovery posts from simple TLH make me grateful for my surgical team. Is this Review about James Vincent BRASCH helpful to you? Is this Review about Steven MACDONALD helpful to you? Dr. Ledesma is a very caring doctor. He takes the time to listen to what you have to say and then thoughtfully responds. I would highly recommend him to any woman Needing his expertise. He and his staff truly care. After my operation, I was pain-free and ready to get back to what I enjoy. Definitely a 5-star experience!! Is this Review about Jaime LEDESMA helpful to you? I saw Dr Gregg L. Friedman MD to get my Therapy Dog Certified. The Doctor is easy to deal with and he got my Therapy Dog Certified. The office is pet friendly and they didn't keep me waiting so overall I think they did right by me. Thanks Doc. Doctor T-L is kind and compassionate and a strong advocate for your health. She listens and plans with you. She’s does not ictate your care but makes you part of the planning and process from the beginning. She is thorough in her evaluations, testing, and examinations. She is amazing and I’m glad to have her as my physician. Is this Review about Corinne TUCKEY-LARUS helpful to you? Dr. Velimir Petkov is a very talented podiatrist who took great care of me in his Clifton office. I had a very bad ingrown toenail that had left my toe bluish black. Dr. Petkov helped calm my shattered nerves and fixed it in no time. The staff was great and so was the office - very convenient right on Clifton Ave. I recommend Dr. Petkov for all your podiatry needs. Is this Review about Velimir PETKOV helpful to you? Dr. Kim is a phenomenal physician. She is caring, kind, patient, and very thorough. After developing fibroids, she explored all options to “save” my uterus despite losing my tubes years earlier (not under her care). As an ethnic woman, all too often physicians just want to write us off, but this is not the case with Dr. Kim. She’s so phenomenal that she recently left the state however I’m following her north to continue to receive this exceptional care. I have great medical coverage however I would pay out of pocket if necessary, to continue with her. You don’t come across this type of doctor often and when you do, you need to hold on to them until they retire. The day after my hysterectomy I was out getting a pedicure! Skillful hands! Is this Review about Sarah KIM helpful to you? I've had several doctors over this journey and none of them have been as supportive as Dr. Wait. I went into her office with all of my concerns and she immediately was on my side. She is cheerful, friendly, and experienced. She is completing my surgery via robot. Is this Review about Erin WAIT helpful to you? Our doctors at Upper West Side Dermatology are all board-certified and specialize in lasers, Botox, SculpSure and acne facials in the heart of New York. Is this Review about Lısa TRAVIS helpful to you? I have been seeing Dr. McIlveen for more than a year, after getting frustrated with a different doctor in the area. He has the most amazing listening skills, always, and I mean always, answers all your questions. I am feeling great. Very friendly staff. Dr. Kevin Lam is an excellent doc, continues to be very helpful to me. He has helped me with my feet after I've had problems with diabetic neuropathy. I am more at ease now despite my condition, because I have a capable and very friendly podiatrist to take care of me. A great surgeon, doctor, and person! Is this Review about Kevin LAM helpful to you? He’s the best doctor with good ethics. Is this Review about Patrick Chandler MURRAY helpful to you? Is this Review about Phılosophe RALPH helpful to you? Dr. Dobies saved my life as well as my husband’s. I was misdiagnosed at another hospital and it almost cost me my life. When I went to see Dr. Dobies I was very impressed at how compassionate and well educated he is. I have never been seen by a doctor so outstanding. He explained in great detail my condition and explained how he could help me. He was friendly, knowledgeable, thorough, and professional. This made me feel comfortable and that I was in very reliable hands. After my successful treatment I had excellent follow-up care from Dr. Dobies. He is timely, great staff to work with, and very caring. I cannot recommend Dr. Dobies enough – so blessed and grateful for him - he is an excellent Cardiologist. Is this Review about David Robert DOBIES helpful to you? Great weight loss clinic on Montclair Rd phone number 205-582-9316! Is this Review about William David SUMMERS helpful to you? Dr. Moise was thorough, precise, direct, and kind. She gives great information, is patient, and answers any additional questions raised. Great bedside manner. Very knowledgeable. Is this Review about Claudia Leonard MOISE helpful to you? Is this Review about Mary Elizabeth LAMBE helpful to you? I had already scheduled my hysterectomy with another physician who was not going to do it robotically. When a friend told me she had a hysterectomy by Dr. Godwin using the robot, I decided to get an appointment with him and get a second opinion. I made the decision to have this done with the robot for a quicker recovery. I am so glad I did because my recovery was very easy and everyone in the Commonwealth Womens Care office was so nice and caring. Is this Review about David Alan GODWIN helpful to you? Is this Review about Alcy TORRES helpful to you?